For the 12 days before the Christmas of 1921, children went missing near the towns woods. One traumatized girl was found, but her mind had gone and she later died of horrific injuries which she had sustained. Just before the Christmas of 1992, a further five children disappeared again. They were found in the same woods, their throats slit. Angry and seeking vengeance, the locals hung and gut a woman they believed to be the killer. But before dying, she cursed the town and vowed to return and take her own revenge. 25 years later, the story has become little more than a local legend. But as kids start to go missing again, everyone starts to wonder if the tales of a curse might be true. 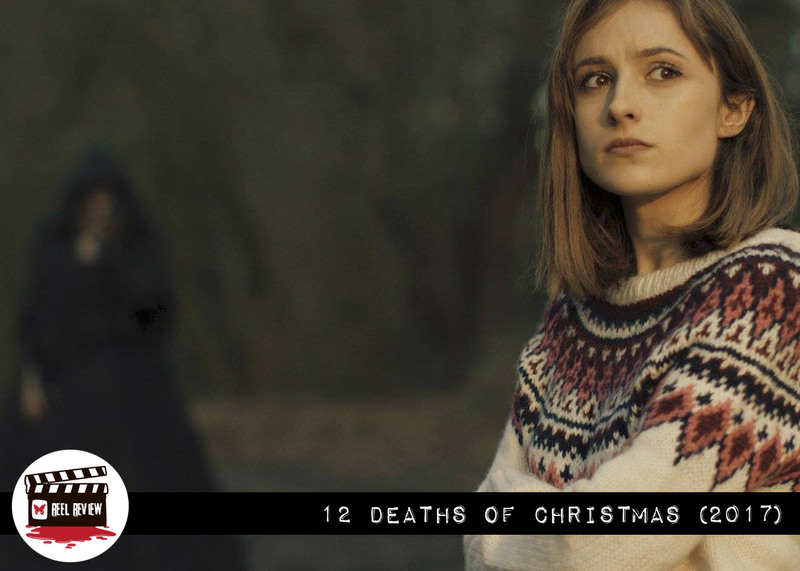 12 Deaths of Christmas is a modern take on the European legend of Frau Perchta, which is retold with a cold intensity and some effective gore. Based in a small country town in Essex, the film creates a dark secluded feel which is well utilized to gradually build up the tension. With this tension, it would have been easier to rely heavily on the jump scare tactics that are so popular in modern horror, keeping Frau Perchta (Tara MacGowran) in the shadows. While Frau does keep her mystique, director James Klass makes the bold choice to bring her to the forefront, letting her toy with her victims. This technique proves to be very entertaining, as we are treated to some really creative kills, which cleverly incorporate a Christmas theme. A great example is the horrific end to the babysitter, Jessica (Becca Hirani), whose mouth gets sewn shut before she is gutted alive and her stomach replaced with Christmas lights, before finally being crucified to the front of the house. The murders are all conducted in a raw, brutal and cold manner, with some impressive special effects. This stops the film from becoming a parody of itself and losing the tension it works so hard to build up. 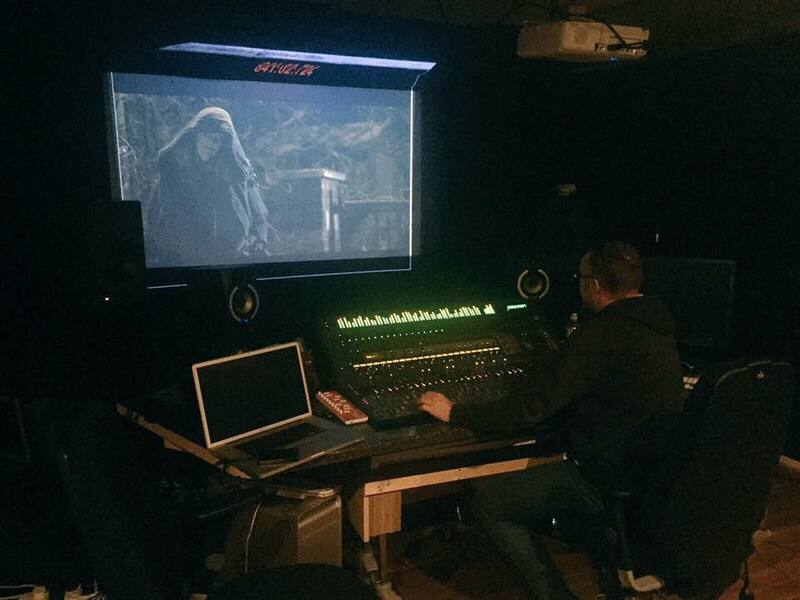 The soundtrack plays an important role in creating the atmosphere. The film even manages to incorporate some traditional Christmas songs into the score, which are played with a melancholic sound. It is the style of music you would expect from frequent Dario Argento collaborators, Goblin, if they were to release a Christmas album. As a slight criticism, the film tends to overcomplicate the drama unnecessarily with the various relationships that bring the characters together. However the unfolding of the backstories for Alfie (Tony Manders) and Leslie (Michelle Archer) does lead to an unexpected plot twist, which leaves a question open regarding what is the truth. The film boasts strong performances from its cast, including Faye Goodwin as Amy. But it’s Claire-Maria Fox who really stands out in the film, delivering an emotional performance as Vanessa. She’s a strong character trying to hold the family together. But like so many pivotal moments in the film, her fate doesn’t play out as I was expecting. ’12 Deaths of Christmas’ feels original in its delivery, with a great build-up of tension and plenty of gore. It may not be on everyone’s Christmas wish list. But if you are looking for a horror to watch with the lights out this December, I definitely think this is a film worth watching to make those cold dark nights a little colder. 12 Deaths of Christmas is currently expected to release on VOD and DVD on November 6th. Be sure to follow the film on Facebook for all the latest news and release information. Would you be interested in reviewing our newest film? Or perhaps an interview with our Director or cast? A screener is available if interested. Sure thing! Please email us at morbidlybeautiful666@gmail.com.